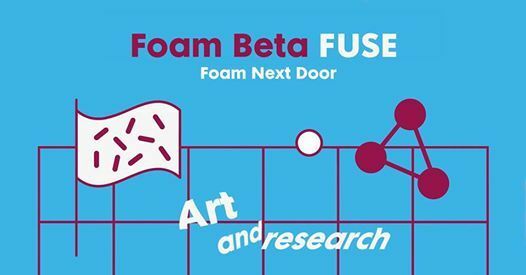 On Febuary 22nd, amidst the work of 20 emerging Foam Talents of 2019, FoamLab Amsterdam hosts ‘Foam Beta: FUSE’, an event in which art and academics will be merged. Lectures will be given by artist Ahmet Ogut who will elaborate on his practices and the knowledge platform The Silent University. Next, Shailoh Phillips, artistic researcher in the Critical Making Consortium (PhDarts, Leiden University) and teacher in the Master of Photography and Society (KABK) will talk about unlearning disciplinary boundaries. Lastly, Mariana Lanari, tutor at the Art and Research Programme University of Amsterdam / Gerrit Rietveld Academy, will elaborate on the experiences of working across educational boundaries and the motivations behind this interdisciplinary program. This is still one of the few programs in The Netherlands in which BA university and art academy students collaborate through research to make a publication and an exhibition. Makers and thinkers from different disciplines are challenged to get in touch with each others’ perspectives, language and experiences with inter- and multidisciplinary collaborating during our ‘Semiotics Speeddates'. Semiotics show the way we look at a work of art and why we are attracted to certain elements in an image. How have our disciplines formed our perspectives and motives; what could we learn from the ways of seeing and speaking of a biologist, a sociologist, or a photographer? We invite young artists, students, graduates and anyone else involved or interested in the fields of research and the arts, to join us and get inspired. Foam Beta is an initiative of Foam Lab. 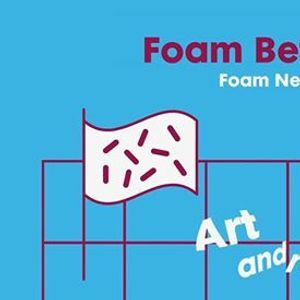 Foam is supported by the BankGiro Loterij, De Brauw Blackstone Westbroek, Foam Members, City of Amsterdam, Olympus and the VandenEnde Foundation.